Funnily I get the chance to write about this topic. For weeks I’ve been meaning to include this on the top of the list however I’ve been a been preoccupied. I’ve finally put my own hair to the test. So there different types of hair, classified according the the extent at which they retain moisture. 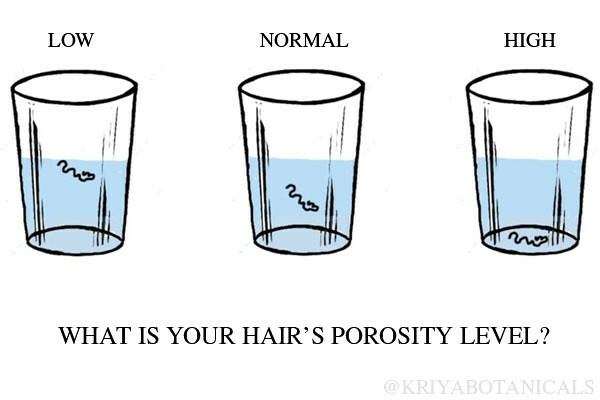 That’s what hair porosity is about. Now science taught us that cells have pores. Including your hair strands. Hair porosity defined is the ability of your hair strands to absorb and retain moisture. There are many ways to determine how that happens. But before we get there I want to talk about, why it’s important to know your hair’s porosity. Why is it important to know your hair porosity level? Because there a various types of products created every now and then. These products were meant for different hair types. From relaxed hair, semi-relaxed to natural hair. As much as the above is true, among each type of hair different products will work differently to each. What I am trying to say is, for Naturals, our hair strands are different genetically so. So there are products that might work for me which won’t necessarily work for the next person. I hope you get my point. So knowing your hair porosity is one of the many steps you can take to understand your hair type. There you can buy the right products for your hair. @Yolzchannel[Yolenda Jawe] filmed a video where she talked about a few products that are specific to different hair porosity levels. What are the different porosity levels? There three levels to this thing. High, Low and medium porosity. Highly porous hair absorbs a lot of moisture quickly but it also tends to lose a lot of moisture fast too. This is because it’s cuticles/pores are open. Low porosity however has a highly bound cuticle and repels moisture. As a results it’s levels at absorbing moisture is very low. But here’s the catch, although it takes time to absorb moisture for this hair type, Low porosity hair has the tenancy to retain moisture. With normal porosity hair, this is the best hair one can have. Its cuticles are losly packed. It absorbs a the right amount of moisture and it’s the same with losing moisture. A very manageable hair type. But how do you know your hair’s porosity? How to test hair porosity? The water test. Its simple and easy. Just fill a transparent container with water. Drop your hair strands and watch how it behaves. Low porosity hair will float in water. Normal or medium porosity hair will sink very slowly. Then highly porous hair will sink very fast. I put my hair to the test. I want really surprised to find out my hair was low porosity. Moisturizing my hair was always a mission. But I’d like to believe that I have a combination of low and high. Because at my hair is always dry for some weird reason. This thing can be a bit confusing. Here are a few characteristics of each hair type to get you started. How about you put your own hair to the test? Let us know it goes. Where you surprised? Why or why not? Hello there, thanks for stopping by. I am stunned to share my journey with you. Love loads!